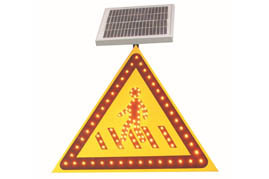 The ordinary traffic signs cannot give out light actively, and they can only reflect light, while the brightness of led solar road traffic signs can be up to 2000MCD, which can penetrate fog to guide the drivers and pedestrians effectively. 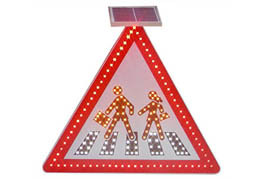 The solar traffic signs absorb solar energy, which is transformed into electrical energy and stored in the battery in daytime, and blinking or lighting constantly at night. 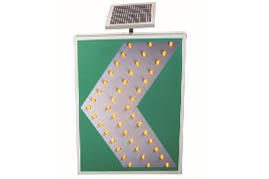 These traffic signs, which can be recycled and reused, are environmentally friendly and energy saving. 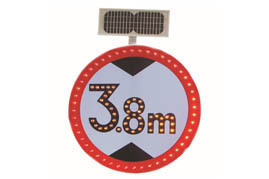 The visual distance of ordinary traffic signs are only 100 meters or more, while that of the solar traffic signs are over 800 meters, 8 or more times of the former, which can let the drivers or pedestrians know the road condition in advance. 1. Different sized to meet all clients’ needs. 2. Using solar energy, low energy consumption. 3. High brightness. 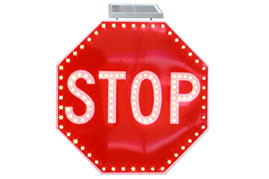 All LEDs can autoluminate at night or bad weathers. 4. Good resistance of high (low) temperature. 5. 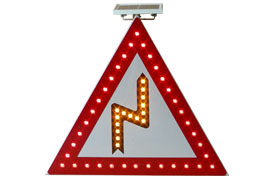 CE, ROHS and ISO9001：2000 verified. 6. Long visual distance of over 800 meters. 1. We have professional research and development team, which is always working on producing advanced and practical products to meet your unique needs. 2. Diversed products for you to choose. 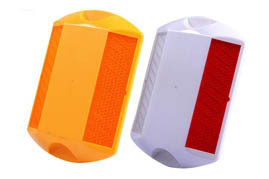 Different sizes to meet different road conditions. 3. Support all kinds of the orders no matter quantity is big or small, totally meet your requirement on all kinds of quantity request. 4. We have 15 years’ experience in this field. 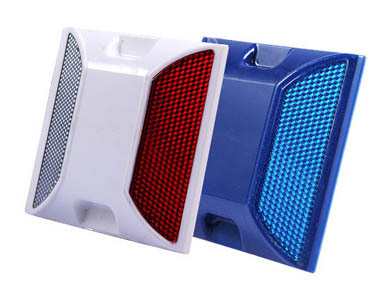 Professional manufacturer and supplier. 5. high-quality products, compatible price, and a set of after-sale service. 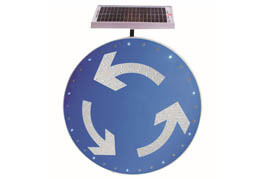 As a professional solar road traffic signs supplier, we have engaged in providing clients with high-quality solar traffic facilities and bringing the best user experience to customers. Although we rank in the leading position in this field, we never slow down the pace for innovation, and we hope to provide the most advanced products to the world. We want to establish long term cooperation with friends all over the world. If you have questions about our products, please contact us, and we will give you reply within 24 hours.